Can you use a stronger string? That’s a question I hear a lot. I often have customers say that the lift cord in their blind or shade did not hold up very well to normal usage. They want to know if I can use a replacement cord that will be stronger and more durable. In most cases, it’s not possible to use a heavier or larger cord because it just won’t fit through the cord guides or the cord lock. Many cell shades are designed to use a cord that is only 0.9 mm in diameter (that’s smaller than the thickness of a dime) and there’s not enough clearance for anything bigger. Most, if not all, modern day shade cords are made of nylon or polyester. Cording made from these materials are very strong even in small diameters such as what is used in blinds and shades. One thing that makes a big difference in how well the cording holds up to normal wear and tear is the way the strands of the cord are braided. 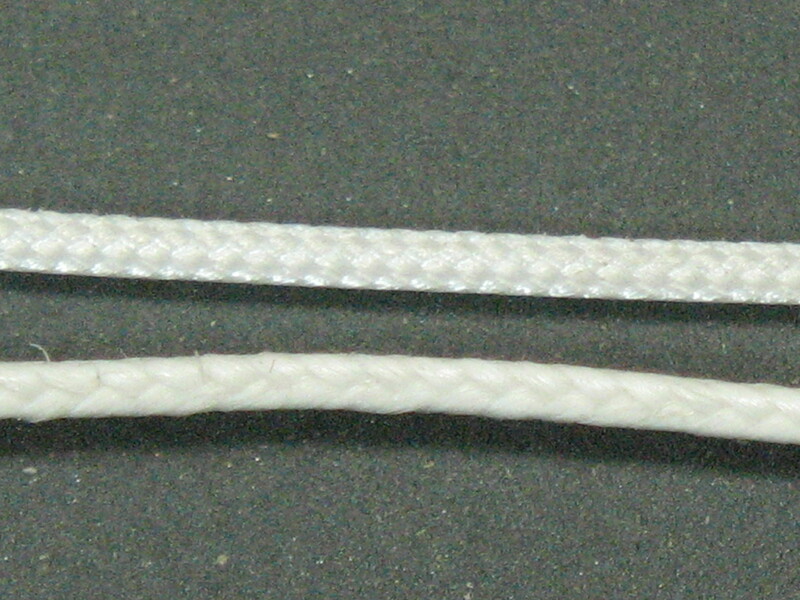 The photo on the right shows the difference between “solid braid” (top) and “diamond braid” (bottom). 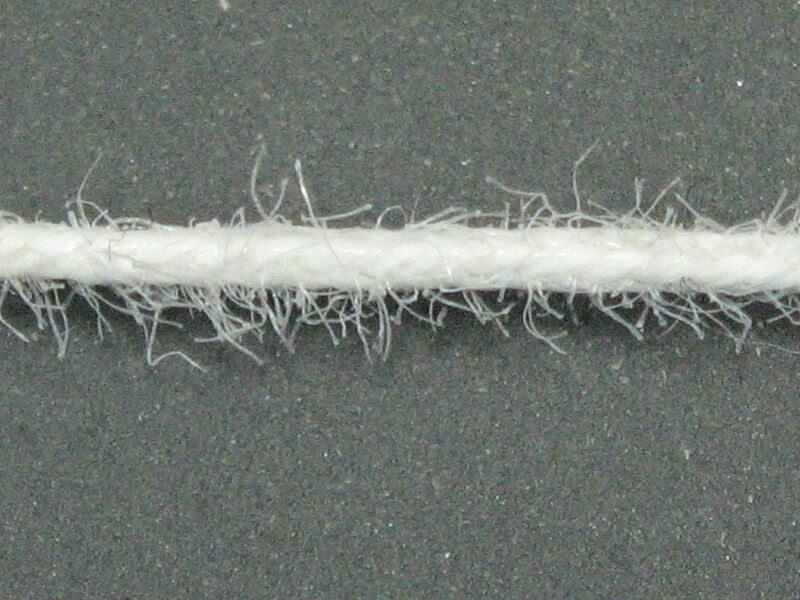 As the photo shows, the surface of the solid braid cord is tighter and smoother. Inside the mechanism of a blind or shade the tighter, smoother braid means less friction and less friction means increased durability. The solid braid cord is slightly more expensive than diamond braid due to higher manufacturing (braiding) costs but compared to the price of a new blind or shade it’s no big deal and the improvement in durability it provides makes it worth it. So, the next time you replace your window blind cord (or are shopping for a new blind or shade), be sure to specify solid braid shade cord. I wouldn’t use anything else.